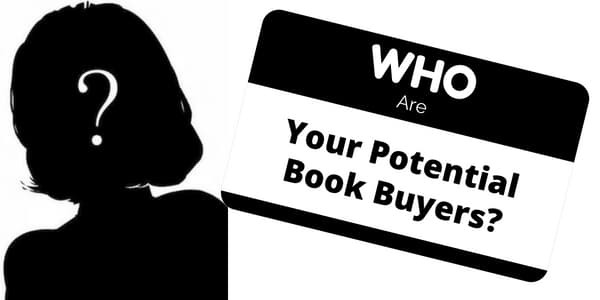 Where can you find the data you need about your book buyers. 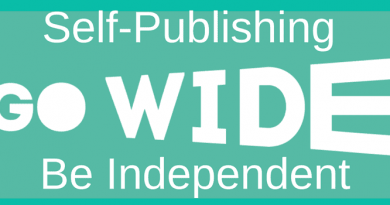 If you are self-publishing a book on Amazon, Apple or B&N, you will know that none of these self-publishing platforms gives you any information whatsoever about who preview read or bought your books. This is awfully frustrating, as it makes it impossible to formulate a sensible marketing plan when you have no idea about who or what your potential market is, or where your potential book buyers come from. Sure, Amazon tells you how many books you sold in the US, but that is a massive area. I would prefer to know if I sold more books in California than Alaska or Maine. Even better, New York or Anchorage. 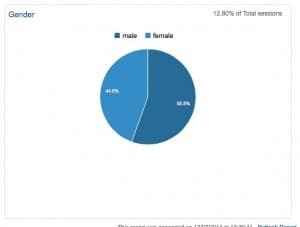 I would also like to know a little about my readers’ demographics, age and gender. But of course, this is not made available either. So, how can you get access to this type of relevant information about your potential market, other than asking the NSA? The answer is surprisingly easy if you have a website or blog. Google Analytics is a deep mine of information about people who visit your sites, and therefore, who are logically interested in you and are therefore potential buyers of your books. 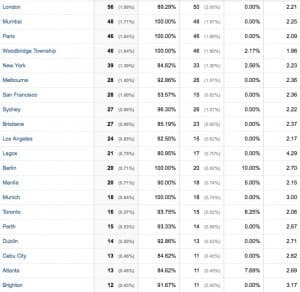 With this data, you can fine-tune your marketing to geographic locations and demographics that have shown an interest in what you are writing. Imagine paying out $1,000 in pay-per-click advertising worldwide, when you could make many more sales by spending $50 on precisely target ads. Now, what about age and gender? Now the information that Amazon and all the other self-publishing platforms will not give you. Geographic data, by country AND city. Lastly, and this is my favourite. 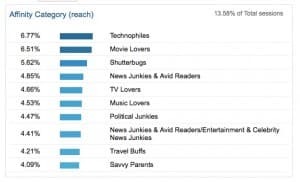 Which social networks delivered my website visitors, and what pages did they land on and view. 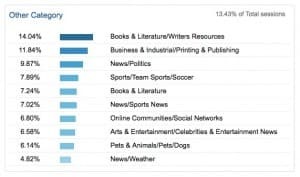 This section can be viewed in many ways, revealing detailed information about your social networks, and which ones are the most effective for you. 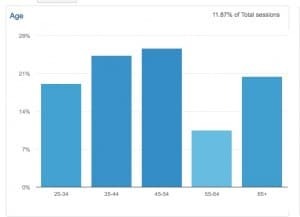 As you can see from this very small sample I have illustrated above, there is an absolute wealth of data that can be found by using Google Analytics that will help you discover who and what your real potential market is, and save you a lot of time and money in your book marketing efforts. All you need to do is register with Google and add a small piece of code to your website or blog. How do I register with Google and where will I find that code, where should it go? Click on the link in the article to Google Analytics. Register and add your website or blog.